Hello and welcome back! 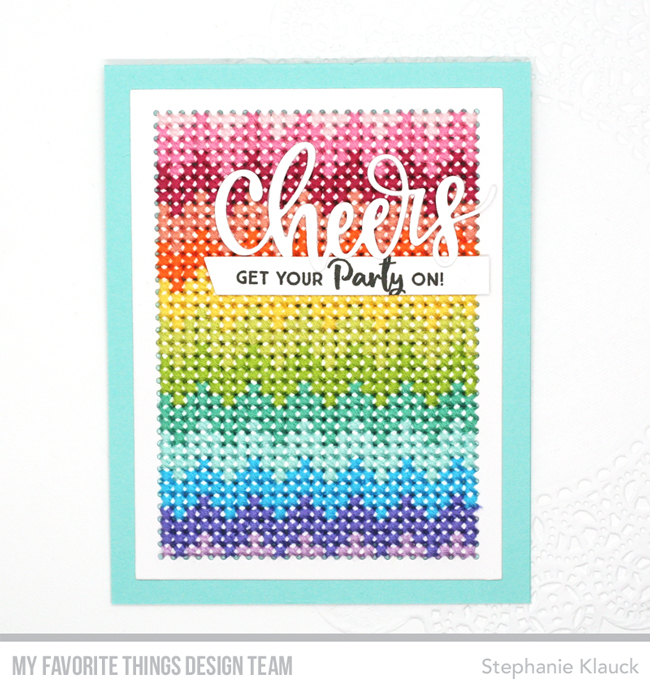 Today I have a card to share for the newest MFT Stamps sketch challenge. The sketch for this week features a circle in the top right corner of the card, and I decided the use the circle for the area I would add my large script sentiment. I stitched the entire background of the Cross-Stitch Rectangle first with a rainbow chevron pattern, and then I adhered the stitched panel to a Summer Splash card base. Once I had the panel adhered, I diecut the Cheers sentiment from white card stock and added it to the card in the same area as the circle from the sketch. I then stamped a second sentiment onto a white card stock strip and adhered it directly under the script word. Make sure to head to the MFT Challenge blog to play along with this week's sketch. 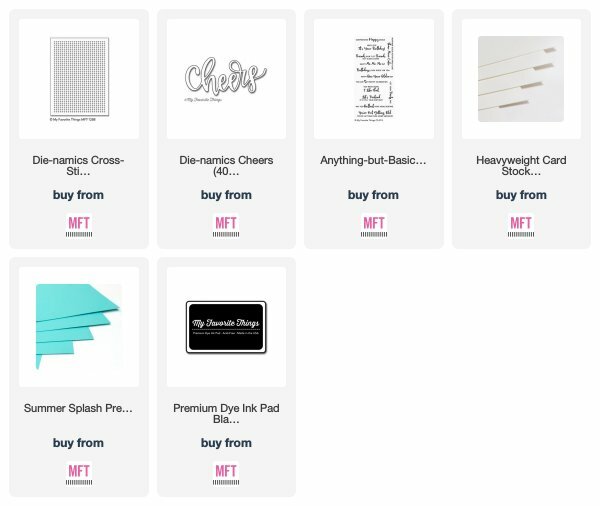 Every week there is a $50 GC to MFT Stamps given away to one random person who participates! 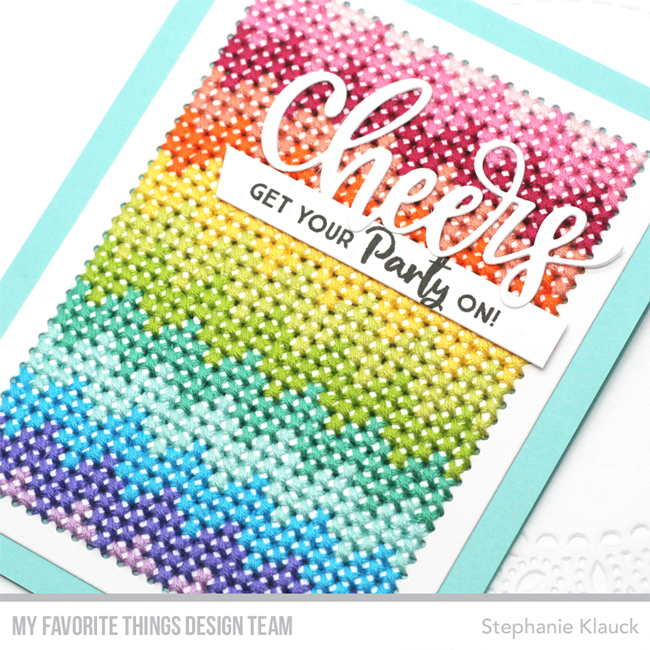 MFT April Card Kit Release!